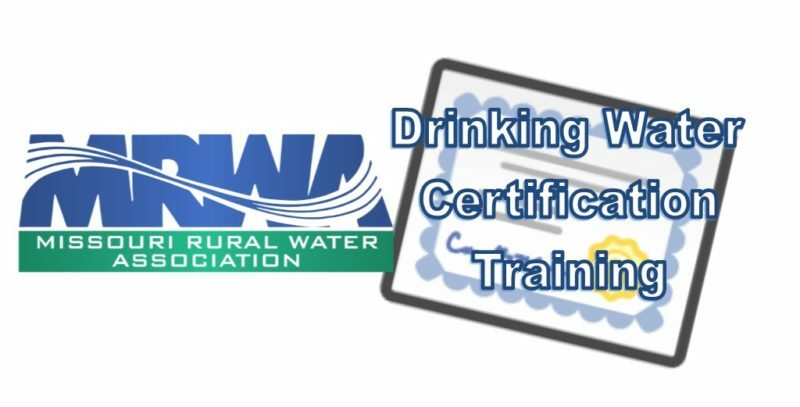 This training will prepare attendees for the Drinking water certification exam for all levels of certification including distribution and treatment. This course has been approved for renewal credit hours through the Missouri Department of Natural Resources. Persons wishing to study for a drinking water certification exam or needing certification renewal hours. $675 for MRWA non-members, $525 for MRWA members. BLUE Drinking Water Voucher Approved! If you have any special needs, please let us know at least one week before the class and we will strive to meet them. For More information Contact us at 573-657-5533 or 1-800-232-MRWA.